Sometime last year my boyfriend and I discovered the joys of making dinner with those skillet meal-in-a-box type things like Tuna Helper. We particularly like the tuna helper because it only requires canned tuna, whereas we never have any ground beef sitting around for the hamburger helpers. The tuna helpers come with dried pasta in the box, along with a packet of flavor powder, which usually reminds me of the smell of sour cream and onion chips. 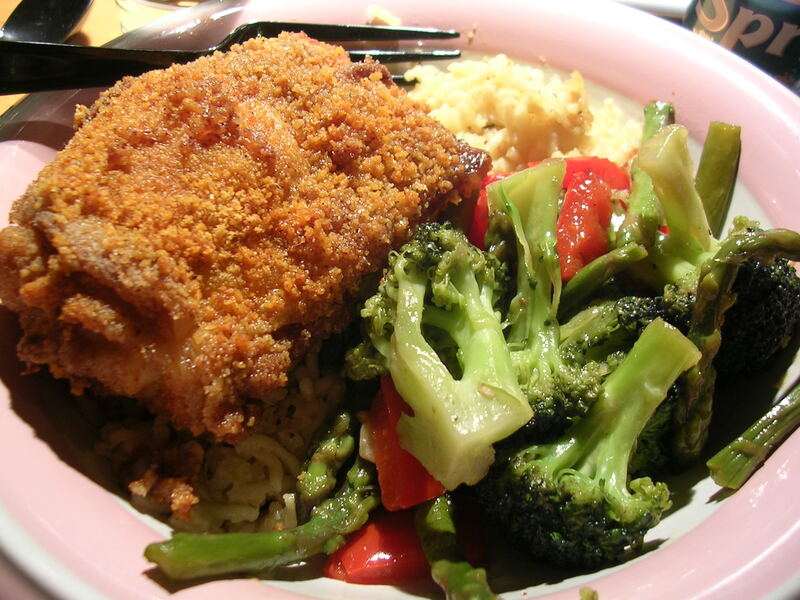 Sometimes there are little bits of dehydrated broccoli in the powder. 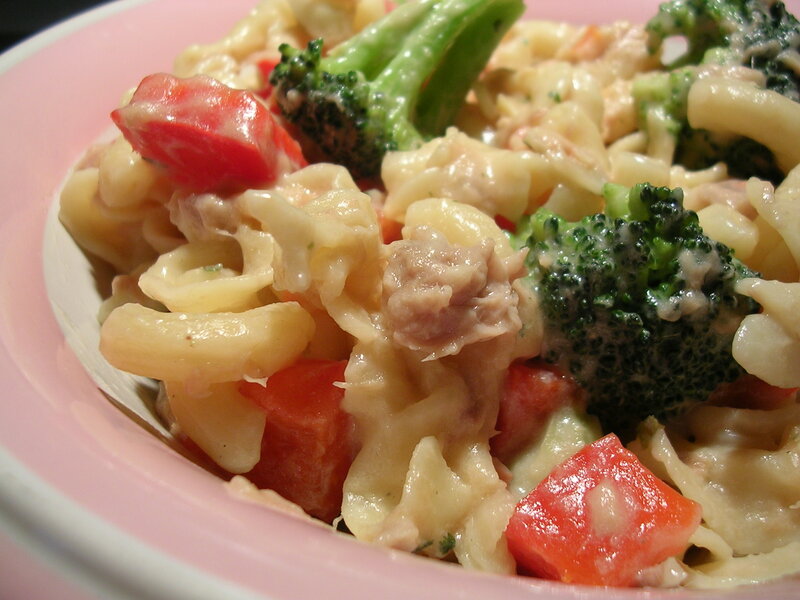 When we cook the tuna helpers, we like to add to it by cutting in fresh veggies that we have on hand and adding extra pasta and tuna to make the food last a few meals. In the photo above we added red peppers, broccoli, and onions as vegetables. I actually enjoy the flavor of the meal even though we've added so much stuff that the original flavor of the flavor powder is diluted, I guess the intended flavor must be stronger than I would like. Lately we've experimented by adding some canned salmon in place of the canned tuna, and though it sounds good, I actually prefer the tuna, which has a much stronger flavor than the salmon. I signed up for a free promotion from Larabars (a brand of organic energy/snack bars made with natural raw ingredients) where they sent me 4 different full-sized Larabars as a sampler. The Larabars are mostly made of dates and nuts. They're moist, filling, and surprisingly delicious! I encourage you to try out a Larabar next time you are at the market. They have tons of different flavors. 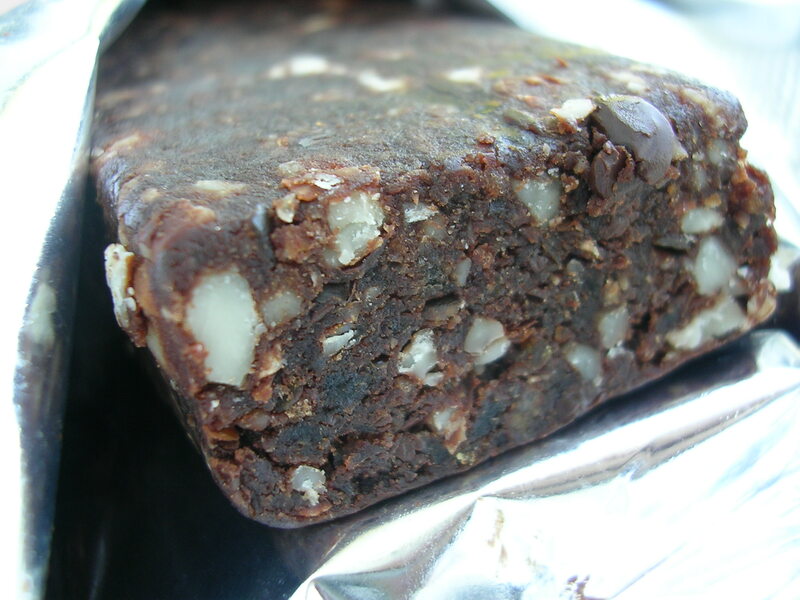 Larabars also makes a different bar called Jocolat, which uses organic cocoa powder to make a chocolate-flavored bar that still uses dates and nuts to provide the body. I really like the Jocolat bars, which you can see above looks pretty yummy. The cocoa flavor was nice, but it isn't for you if you are craving creamy sugary chocolate. The chocolate is all in the flavoring, it's somewhat subtle but I think it's nice for mature palettes. Plus, it doesn't get sickeningly sweet after a while, which I thought was good since I was eating it for breakfast. Yum. Remember the last time I went out for Japanese curry? 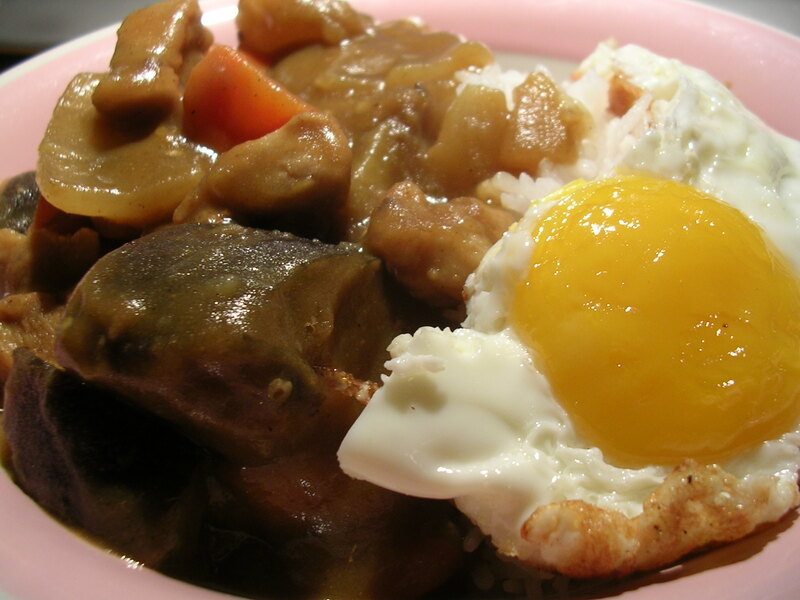 Well I decided to try and make my own Japanese curry at home! It's actually not too hard, especially since you don't make the curry from scratch. There are various brands (S&B is a big one) that sell Japanese curry roux cubes that you dilute to make instance curry sauce. It's super easy, and even Japanese people use the same kind of roux cubes, so you know it's authentic. All I had to do was cook together the meat and vegetables before adding water with the curry cubes to make the curry. I usually add carrots, onions, and potatoes for the vegetables, and I like using pork and beef for the meat. It's different from the curry cutlet because I cook the meat in the curry sauce and there are no crunchy coatings, but it tastes great all the same and is probably much better for you :) In the curry above I also added Chinese eggplant because I had some extra lying around that I need to get rid of, but I would recommend not adding it as eggplant tends to have a pretty strong flavor. My curry sauce tends to be a bit thicker and starchier than the restaurant curry, since they don't use potatoes, but I think the fried egg on top completes the look! This entry was posted on Tuesday, August 28th, 2007 at 4:56 am	and posted in American, cooking, Italian, Japanese, snacks, Uncategorized. You can follow any responses to this entry through the RSS 2.0 feed.